Brave Neptunia gets a new name for the west. 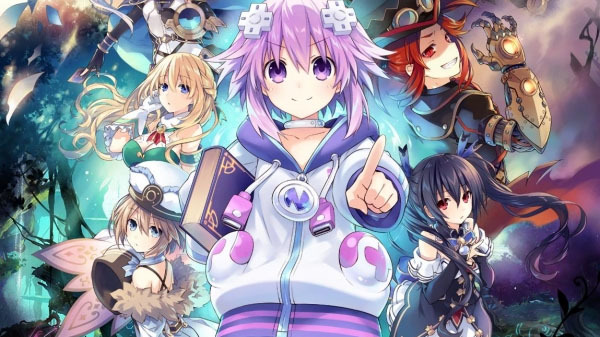 Idea Factory International will release Super Neptunia RPG, known as Brave Neptunia: World! Universe! Pay Attention!! Ultimate RPG Declaration!! in Japan, for PlayStation 4 and Switch in North America and Europe this fall. The game will have Japanese and English voice-over options, as well as English and French subtitle options. In Japan, Super Neptunia RPG is due out for PlayStation 4 on September 27. In Korea, the game will release for both PlayStation 4 and Switch on the same date. Developed by the Quebec-based Artisan Studios, Super Neptunia RPG brings the characters of the Neptunia series into the world of a side-scrolling RPG. Each character was hand-drawn by series character designer Tsunako, then animated by computers. Players will explore side-scrolling dungeons and fight in turn-based battles. In a world where 2D games reign supreme, an organization called Bombyx Mori forces its citizens to churn out 2D games as offerings to their leader. Those who dare to use new technologies or whose games don’t meet their standards risk banishment to the soul-crushing Trial Grounds. A girl awakens in this world with no recollection of anything beyond her name, Neptune, and soon realizes she possesses great strength. With her newfound sense of heroism and a strange book known as Histoire in hand, she sets off on a journey to see if there might be more than this two-dimensional life.